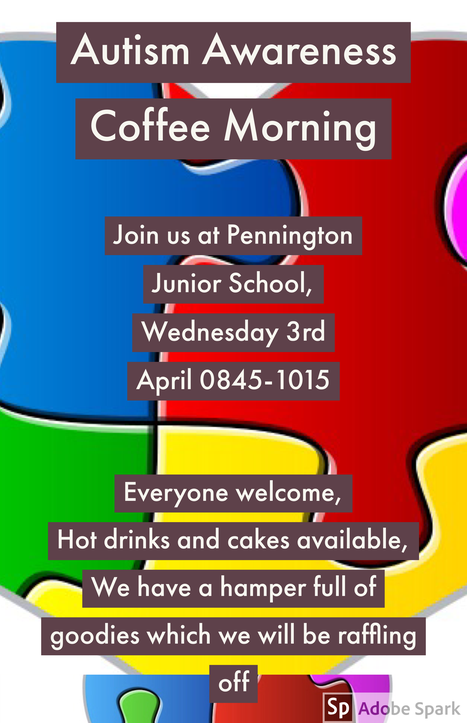 We welcome you to join us for an Autism Awareness coffee morning. Everyone is welcome, 08:45-10:15 in the school hall. Hot drinks and cakes available. We will have a hamper of goodies and will be holding a raffle.